A former triathlete, Ling learned directly the ability of the body to push beyond known limits and the risks of movement without awareness. 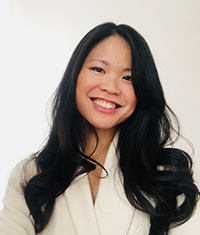 Ling has trained in Power Yoga with Bryan Kest and ashtanga but is most interested in restorative yoga and the energetic approaches of yoga nidra, kundalini and the GYROTONIC® method, as well as the art and science of tailoring movement to the individual. She also leads meditation and breathwork sessions at Mount Sinai and the Morgan Stanley Children’s Hospital, working with survivors of spinal cord and brain injury.